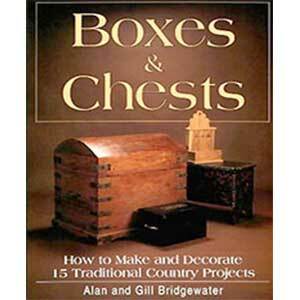 Most Arts Crafts enthusiasts know that the Tobey Furniture Company briefly marketed Gustav Stickley’s so-called “New Furniture” for a few months beginning in the fall of 1900. That is all that most people ever hear about the Tobey furniture Company. But there is much more to the story. The Tobey Furniture Company was in business for ninety-eight years, from 1856 to 1954. Tobey sold not only Gustav Stickley’s “New Furniture”, but also “mission” or Arts and Crafts furniture manufactured for Tobey by Leopold and John George Stickley, which Tobey sold under its “Russmore” trademark. 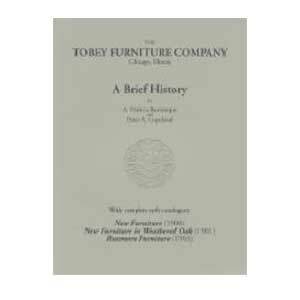 Tobey also sold “mission” or Arts and Crafts furniture that it made in its own workshop, promoting it (as well as other styles of furniture) as “Tobey Hand-Made Furniture.” The Tobey brothers, Charles and Frank, were leaders in the Chicago business community and in the national furniture industry. Tobey’s general manager, George Clingman, for a time also the company’s chief buyer and designer, was granted patents for his. “mission” or Arts and Crafts furniture designs, including a patent for the iconic Tobey Chair. 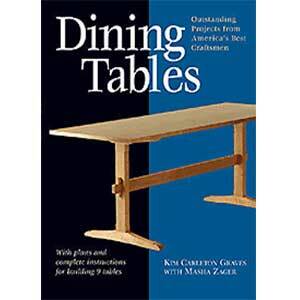 This book provides not only an illustrated 38-page history of the Tobey Furniture Company, but also provides for the first time unabridged reprints of Tobey’s 1900 New Furniture catalogue, Tobey’s 1901 New Furniture in Weathered Oak catalogue, Tobey’s 1903 Russmore Furniture catalogue.